"The Typaholic collection, a love declaration to typography, uses letters and numbers to create abstract graphical patterns. 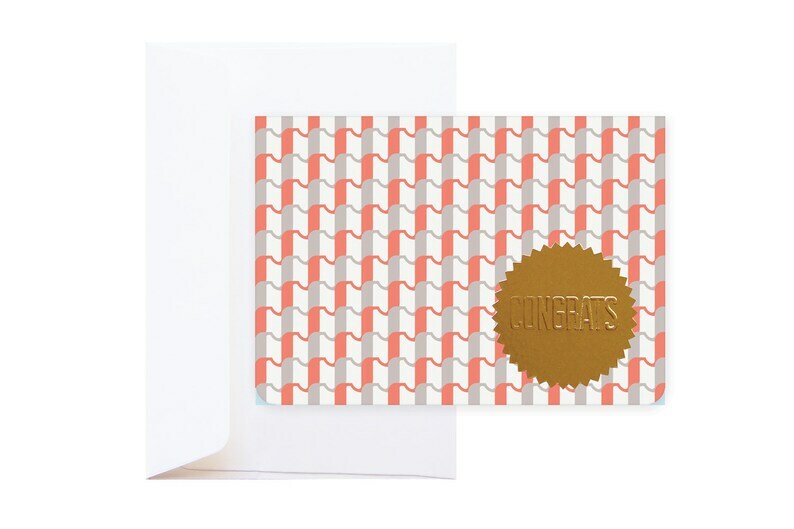 The Sadie print is a quirky repetition based on the letter S."
Looking for a great way to send your congratulations? Look no further! This double card printed on FSC certified paper and featuring a gold foil embossed sticker, is ideal for every occasion!